The FTC’s Highlights report describes some of the agency’s most notable enforcement actions, policy and advocacy initiatives, and education and outreach programs in the past year. A handful of enforcement actions of interest are highlighted below. Stopping false and deceptive health claims continues to be a bread-and-butter goal of the FTC. In the Regenerative Medical Group case, an individual and two companies he controls, settled charges of deceptively advertising that “amniotic stem cell therapy” can treat serious diseases, including Parkinson’s disease, autism, macular degeneration, cerebral palsy, multiple sclerosis, and heart attacks. The settlement also imposed a partially suspended $3.31 million judgment and required the defendants to notify current and former patients about the order within 30 days. The FTC also brought charges against the Nobetes Corporation and its two officers, alleging that their claims that the Nobetes pill treats diabetes are false or unsubstantiated. According to the complaint, the defendants continued to make diabetes benefit claims even after the U.S. Food and Drug Administration (FDA) and the FTC warned them that they needed reliable scientific evidence. The order requires them to pay $182,000 and prohibits the company and its officers from undertaking future deceptive practices. In one of the largest-ever judgments against an advertising agency, FTC attorneys obtained a $2 million judgment against Marketing Architects, Inc., an advertising agency that created and disseminated allegedly deceptive radio ads for weight-loss products marketed by its client, Direct Alternatives. The order also bans defendants from making any of the seven “gut-check” weight loss claims that the FTC has publicly advised are always false with respect to any dietary supplement, over-the-counter drug, or any product rubbed into or worn on the skin. The FTC also worked with other agencies to coordinate action in relation to treatments for opioid addition and related to the use of tobacco and nicotine. The FTC and the FDA posted warning letters to 11 marketers and distributors for illegally marketing products with unproven claims about the products’ ability to help in the treatment of opioid addiction and withdrawal. As part of ongoing efforts to protect youth from the dangers of nicotine and tobacco products, the FTC and the FDA jointly issued 13 warning letters to manufacturers, distributors, and retailers for selling e-liquids used in e-cigarettes with labeling and/or advertising that resemble kid-friendly food products, such as juice boxes, candies, or cookies, some of them with cartoon-like imagery. Several of the companies receiving warning letters also were cited for illegally selling the products to minors. In response to the growing importance of technology in our economy, the Bureau of Competition recently established a new Technology Task Force to look closely at the conduct of technology firms, especially those that hold significant market power. The Technology Task Force will help FTC staff deepen the agency’s understanding of technology markets and promote vigorous and effective antitrust enforcement in this critical area of the economy. The FTC continued its fight against robocalls and related technology-enabled telemarketing violations. The Commission filed a complaint and motion for preliminary injunction in federal district court alleging that Alliance Security Inc., a home security installation company, and its founder called millions of consumers whose numbers are on the National Do Not Call (DNC) Registry. 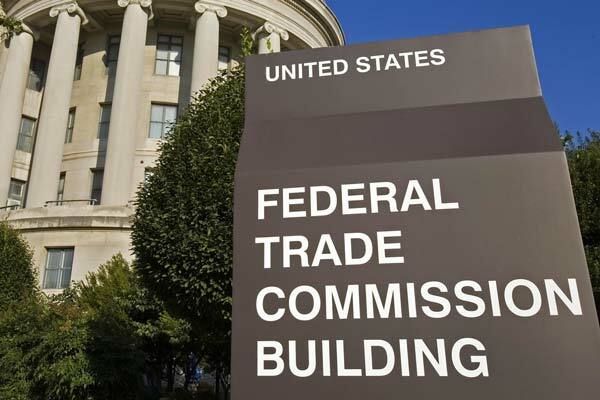 According to the FTC, Alliance and its CEO and founder are recidivist violators of the Commission’s Telemarketing Sales Rule (TSR) and never complied with an earlier court order against them. Two of Alliance’s authorized telemarketers and their principals agreed to settle the charges, including a permanent ban from telemarketing. Litigation continues against the remaining defendants. In Net Dot Solutions, the FTC alleged that an individual and the companies he controls bombarded consumers with more than one billion illegal robocalls annually. The FTC also filed charges in federal court to stop two related operations and their principals who allegedly facilitated billions of illegal robocalls to consumers nationwide, pitching everything from auto warranties to home security systems and supposed debt-relief services. The FTC also charged Pointbreak Media, LLC., and its affiliated companies with deceiving small business owners by falsely claiming to represent Google, threatening businesses with removal from Google search results, and promising first-place or first-page placement in Google search results. According to the FTC’s complaint, the defendants also took money from some of their customers’ checking accounts without authorization. The court has appointed a receiver over the operation and has frozen the defendants’ assets during litigation. The FTC led Operation Donate with Honor, a coordinated effort of more than 100 law enforcement actions to target fraudulent and deceptive fundraising purportedly for military and veterans causes. The Commission joined with 54 Attorneys General from the states, the District of Columbia, American Samoa, Guam, and Puerto Rico, plus 16 additional state agencies that oversee charities. As part of the initiative, the FTC announced two cases. In Help the Vets, Inc., the Commission alleged that the defendants collected more than $20 million by falsely claiming that donations would help veterans in need. Instead, the donated funds allegedly went to the operator of the fake charity and their for-profit fundraisers. The proposed settlement bans an individual defendant from charity management for life and imposes a $20.4 million judgment that will be partially suspended when he pays $1.75 million and the corporate defendant pays $72,000, which represents all the organization’s remaining funds. In the second case, the FTC charged an individual with making illegal robocalls to solicit donations for fake charities with seemingly legitimate names. At the FTC’s request, a federal judge in Utah issued a temporary restraining order prohibiting the individual from placing unlawful robocalls or making misrepresentations about charitable donations while the case proceeds. Sunkey Publishing and others, the operators of copycat websites, army.com and navyenlist.com, settled the FTC’s charges that they targeted and tricked people seeking to join the armed forces to generate sales leads for post-secondary schools. The complaint alleges that the defendants promised to use the information consumers submitted to the site only for military recruitment purposes and not to share it with anyone else. Instead, the defendants allegedly sold the information as marketing leads to post-secondary schools for $15 to $40 per lead. The two proposed orders require the defendants to turn over to the FTC the websites used to deceive consumers. The FTC continued its crackdown on all players in the phantom debt chain, including those who sell fake debt portfolios and those who harass consumers to collect the phony debt. For instance, the FTC and the New York Attorney General’s Office charged debt broker Hylan Asset Management LLC, and its owner with running a scheme to collect money from consumers on fake and unauthorized debts. According to the individual bought, placed for collection, and sold lists of phantom debts, including debts that the defendants had fabricated or that consumers had disputed. A federal district court granted the FTC’s request to stop Triangle Media Corporation from deceptively advertising free trial offers. According to the FTC’s complaint, the defendants sold skin creams, electronic cigarettes, and dietary supplements online. Consumers who clicked on their ads – placed through third-party websites, blog posts, and surveys – would end up at the defendants’ websites, which, the complaint alleged, claimed to offer trials of these products for just the cost of shipping. The defendants not only charged consumers full-price for the trial product, but also enrolled them in expensive, ongoing continuity plans without their knowledge, and made it difficult to cancel or get a refund. The court order temporarily stopped the operation, froze its assets, and appointed a temporary receiver over the business. The FTC is seeking an injunction permanently barring the defendants from such practices in the future. The FTC has continued its fight against phony student debt relief. In the ongoing case against CD Capital Investments, LLC, the FTC moved to add two new defendants, Capital Sun Investments, LLC, and its manager, Jimmy Calderon. In November 2018, a court order shuttered the scheme, which allegedly bilked consumers out of millions of dollars using false promises that they could reduce their monthly payments, or eliminate or reduce their student loan debt. In the largest civil penalty the FTC has obtained against a background screening company, RealPage agreed to pay $3 million to settle the FTC’s charges that it did not take reasonable steps to ensure the accuracy of tenant screening information that it provided to landlords and property managers. According to the FTC, that failure is a violation of the Fair Credit Reporting Act, which caused some potential renters to be falsely associated with criminal records. In the largest civil penalty ever obtained by the Commission in a children’s privacy case, the FTC charged the video social networking app Musical.ly (now known as TikTok) with illegally collecting personal information from children. The FTC’s complaint alleges that Musical.ly violated the Children’s Online Privacy Protection Act (COPPA), which requires that websites and online services directed to children obtain parental consent before collecting personal information from children under the age of 13. User accounts were public by default, which meant that other users could see a child’s profile bio, username, picture, and videos. The operators of the Musical.ly app were allegedly aware that a significant percentage of users were younger than 13 and received thousands of complaints from parents that their children under 13 had created Musical.ly accounts, according to the FTC’s complaint. In addition to the monetary payment, the settlement also requires the app’s operators to comply with COPPA going forward, and to take offline all videos made by children under the age of 13. Uber Technologies, Inc., agreed to expand the proposed settlement it reached with the FTC in 2017 over charges that the ride-sharing company deceived consumers about its privacy and data security practices. After the announcement of the 2017 proposed settlement, the Commission learned that Uber had failed to disclose a significant breach of consumer data that occurred in 2016 – in the midst of the FTC’s investigation that led to the 2017 settlement announcement. The revised settlement could subject Uber to civil penalties if it fails to notify the FTC of certain future incidents involving unauthorized access of consumer information. The FTC approved settlements with four companies over allegations that they falsely claimed certification under the EU-U.S. Privacy Shield framework, a process to allow companies to transfer consumer data from European Union countries to the United States in compliance with EU law. In separate complaints, the FTC alleged that IDmission, LLC; mResource, LLC; SmartStart Employment Screening, Inc.; and VenPath, Inc. falsely claimed to be certified under the EU-U.S. Privacy Shield. Electronic toy manufacturer VTech Electronics Limited and its U.S. subsidiary agreed to settle charges by the FTC that the company violated COPPA by collecting personal information from children without providing direct notice and obtaining their parent’s consent, and failing to take reasonable steps to secure the data it collected. VTech will pay $650,000 as part of the settlement with the FTC. Mobile phone manufacturer BLU Products, Inc, and its co-owner settled the FTC’s allegations that the company allowed a China-based third-party service provider to collect detailed personal information about consumers, such as text message contents and real-time location information, without their knowledge or consent, despite promises by the company that it would keep such information secure and private. In the consumer protection area, the FTC engaged in enforcement-related mutual assistance with foreign agencies or multilateral organizations in 43 matters, including by using its powers under the U.S. SAFE WEB Act to obtain information from and share information with foreign authorities. One highlight was the FTC’s use of the U.S. 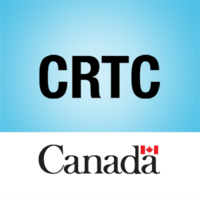 SAFE WEB Act’s information-sharing powers to collaborate successfully with the Office of the Privacy Commissioner of Canada in the FTC’s enforcement action against VTech, a Hong Kong-based manufacturer of internet-connected toys, for violating COPPA. The FTC also worked on two joint projects with its foreign counterparts in the International Mass Marketing Fraud Working Group (IMMFWG), which the FTC co-chairs along with DOJ and U.K. law enforcement. 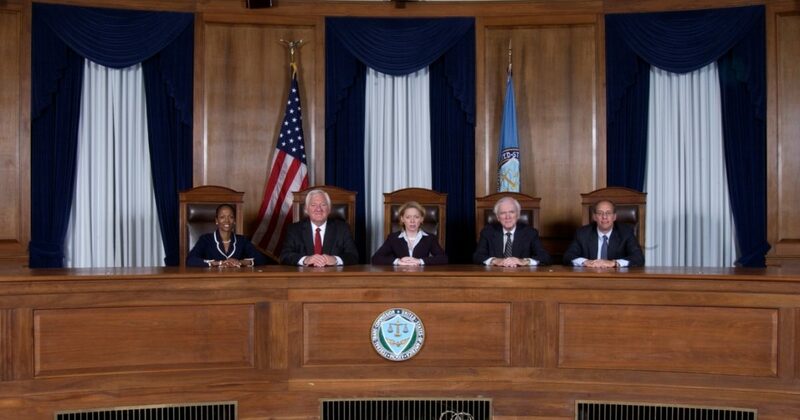 First, the FTC participated in a sweep of elder fraud cases involving defendants from around the globe who victimized more than a million Americans, most of whom were seniors. As part of that sweep, the FTC worked directly with U.K. and Canadian authorities to halt Next-Gen Inc., a sweepstakes scam. To facilitate cooperation with its U.K. partner, the National Trading Standards Scams Team, the FTC relied on key information-sharing provisions of the U.S. SAFE WEB Act. The FTC also worked with its IMMFWG counterparts to coordinate investigations and develop a simultaneous tech support fraud consumer education campaign in the recently announced elder fraud/tech support takedown sweep coordinated by DOJ. Alongside this effort, the agency conducted several trainings and roundtables in the U.S. and India to help develop the capacity of Indian law enforcement to address tech support and other impostor scams, and coordinate further with its international counterparts. The FTC also entered into a memorandum of understanding (MOU) to facilitate information-sharing and enforcement cooperation on consumer protection matters with the U.K.’s Competition & Markets Authority. The MOU recognizes the long-standing partnership between the two agencies and provides for enhanced cooperation in the future. The FTC brought several significant enforcement actions in 2018 involving large-scale international frauds. These include the FTC’s case against online international business coaching scheme Mobe, which operated in the U.S. and around the world; its actions against Apex Capital Group and Triangle Media Corporation for deceptive free trial offers; and its litigation against the massive overseas real estate investment scam, Sanctuary Belize, that targeted American consumers. In these and many other cases that the Commission brought in 2018, the Commission relied on the U.S. SAFE WEB Act’s provisions that allow the FTC to reach foreign conduct that has a “reasonably foreseeable” effect on U.S. consumers or that involves “material conduct” in the U.S. as the basis for challenging practices involving international defendants. Contact the author at rnewman@hinchnewman.com if you are interested in learning more about recent FTC investigation and enforcement trends, or if you have received a Civil Investigative Demand (CID). You can also follow FTC defense lawyer on LinkedIn. Richard B. Newman is a digital marketing attorney at Hinch Newman LLP. Attorney advertising. Informational purposes only. Not legal advice.